Glasgow Clyde College is a multi-campus college with three sites in Anniesland, Cardonald and Langside. One of Scotland’s largest further education institutions, the College was formed in August 2013 following the merger of Anniesland, Cardonald and Langside Colleges. Home to over 7,000 full-time students and 20,000 part-time students, the modern state of the art facilities deliver truly exceptional learning. The Anniesland Campus, located in the west end, three miles outside Glasgow city centre searched for new and improved methods of dealing with their waste in line with the redevelopment and improvements to the new campus buildings and waste flow. With three prime objectives for the busy campus’ waste, whatever was implemented needed to: reduce vehicle movements onto site and reduce collision risks, reduce expenditure, reduce carbon footprint. For Anniesland Colleges food wastes it was either collection of food wastes to go for off site processing or to find an on site solution. With over a tonne of food waste per week and the need to maximise space use in the waste compound, the off site processing option required less bins but with more frequent collections, which increased carbon emissions and collision risks. The college directed their focus to finding an on site solution for the wastes. 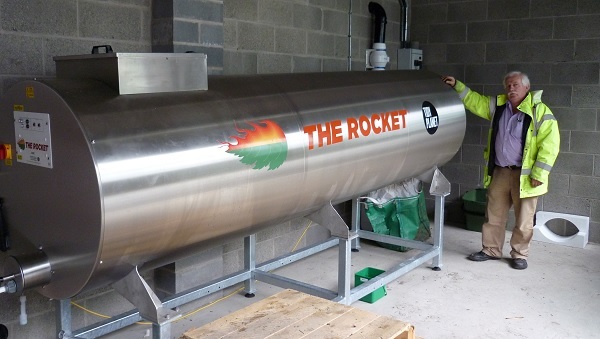 Tidy Planet were contacted and the search for an on site solution was presented, to have the wastes treated by an in vessel composting system, the Rocket. 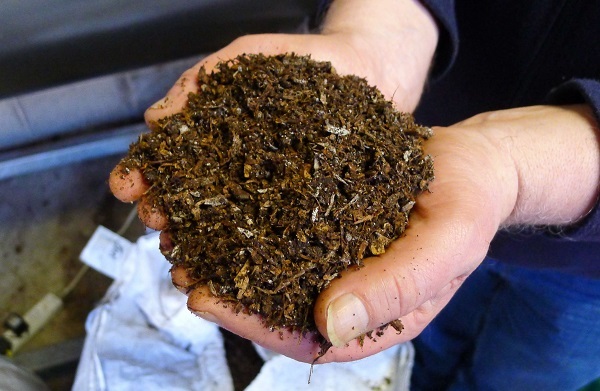 Having the wastes treated on site by their resident compost guru Frank and his Rocket Composter has the site free from food waste collection vehicles and the colleges green areas benefit from the soil improver. The permanent solution will have paid for itself within three years, leaving the college with no food waste disposal costs for the following 15! Something that would never be achieved from subcontracted food waste collections.